Edition of 3576 of which 150 copies are signed 1-150; 26 are signed A-Z as artist's proofs; three sets are signed as progressives; five are signed as dedication copies. 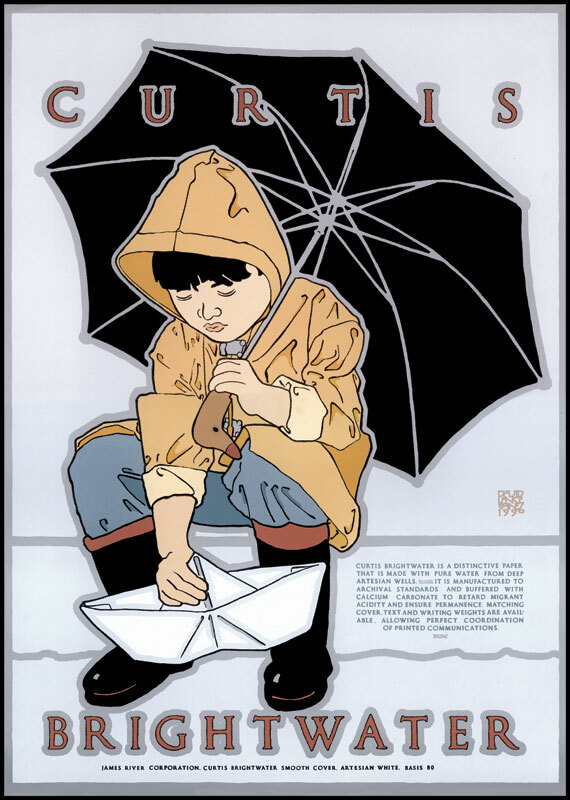 August 21, 1990 13 colors 17" x 24"
I recollect no greater joy from when I was little than going out in a driving rainstorm armored cap-a-pie in galoshes, raincoat and rainhat, and jumping in puddles. What a grand sensation of invulnerability! Everything and everyone else sopping wet, drenched to the bone, and me dry and warm as toast. There's no pleasure that does not profit somewhat from the certainty that somebody else is not experiencing it.